The Cypriots are known for their warm hospitality towards tourists to the island. But if you can research their way of life and customs and join in with their traditions, you will find that their hospitality runs much deeper. They will welcome you as a true friend. We can understand this better when we remember that Cyprus was once a British colony, and the Cypriots generally still have great affection for the British. That has been reinforced today with young Cypriots continuing the long tradition of attending Britain’s best universities. (Kids here are very well educated!) They absorb the British way of life in order to feel part of the British community. So they recognise the difficulties foreigners have to fit in when they go to a new country to live. Would you like to enjoy the warmth of winter in Cyprus then rent your home out for a profit all summer? See why it makes sense. The Cypriot religion is Christian Greek Orthodox. So beware, Easter isn’t always the same time as in the UK, although it is this year. There are also Catholic and Protestant churches where you can attend services. The Greek Orthodox churches and monasteries are beautiful. They have gold ceilings, chandeliers and altars, with the religious icons surrounded by gold frames. In Cyprus we celebrate Easter in a big way, starting with Green Monday, which begins the Easter fasting period. Families go to the mountains or to picnic in the fields and green spaces. Yes, even in March! We eat healthy food like salads, olives and Easter bread. Older churchgoers are more likely to fast for the full 40 days before Easter Sunday, meaning no dairy products, meat or oil. Younger Cypriots tend to fast just in the last two weeks before Easter. To mark the start of Lent we also have this wonderful festival. The tradition is that the Limassol sun king is brought into the town, and it is loosely based on the Rio de Janiero carnival in Brazil. It’s a festival of Cypriot dance and traditional carnival songs. We dress up in brilliant carnival costumes of animals, clowns, even Star Wars costumes. You name it, it’s here! 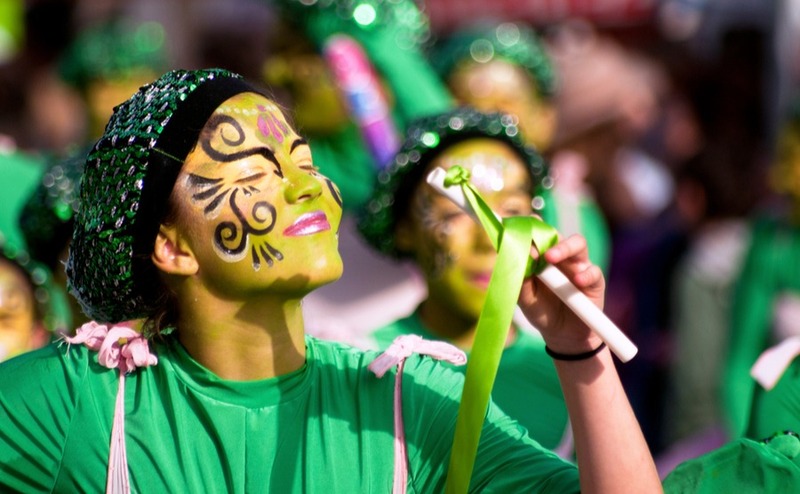 Children and adults have their own carnivals, and wear carnival masks as they ride on floats or walk or dance along the roads of Limassol. The rest of us turn out to watch the parade, try to spot friends and enjoy the atmosphere. Carnival time lasts for two weeks in Limassol. The theme continues throughout all the restaurants and nightclubs and there are many carnival parties. 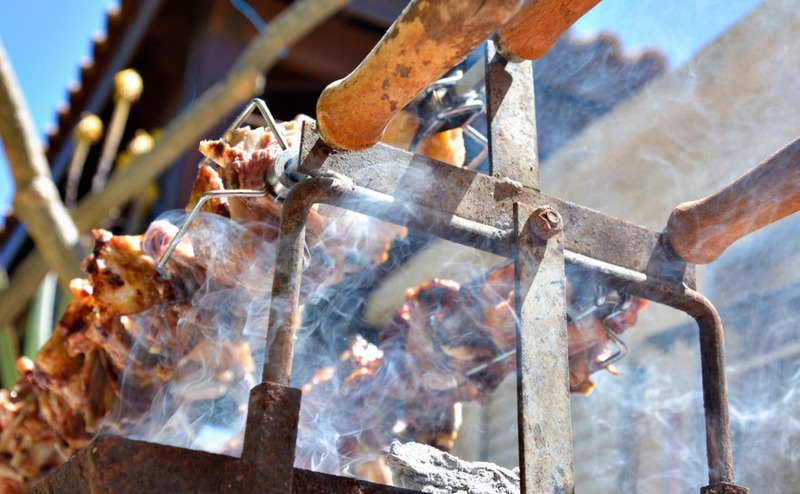 It’s a great starting point for you to get to know the traditional Cypriot life. The children are allowed to wear their carnival costumes to school on certain days too. Even the nightclubs include traditional Cypriot carnival music, which young Cypriots love to hear and dance to. This is when you see the true Cypriot come to life. But people aren’t cliquey – they will welcome you in too. 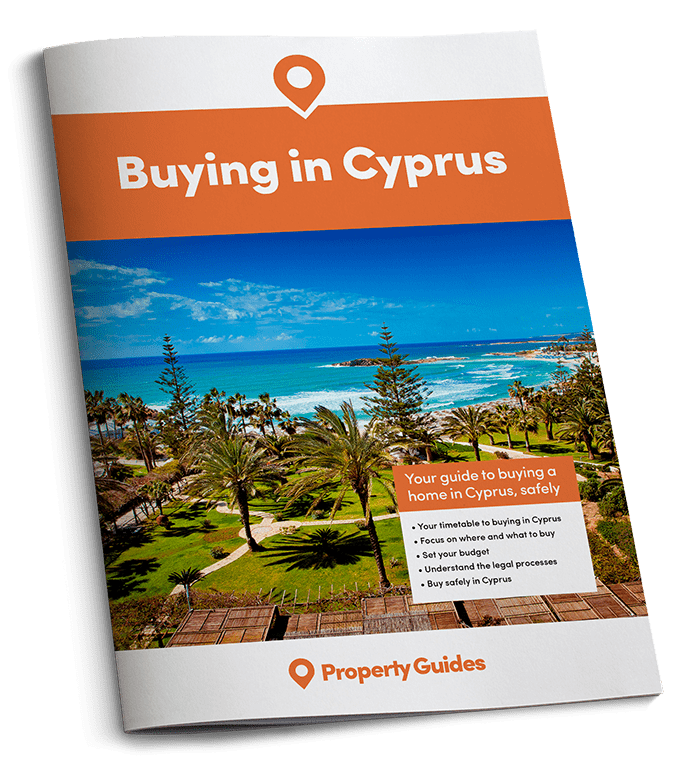 If you’re buying in Cyprus this spring, read the Property Buyer’s Guide to Currency. It is written by our partner Smart Currency Exchange, rated “Excellent” on Trustpilot. Your Easter Day barbecue – tuck in! At last, on Easter Day the souvla and kebab skewers are out on the barbecues, along with the haloumi cheese and the loukaniko (Greek sausage)! We bake special bread for this day, including the famous flaounas. These are a kind of bread with haloumi cheese mixed inside to give a lovely herby flavour. We also eat coloured (food colouring!) hard-boiled eggs at the Easter Sunday meal. The tradition is that you tap one end of your eggshell on that of the person sitting next to you. If your egg breaks, the other person receives good luck for the rest of the year. We also give out chocolate Easter eggs too, like in the UK. On Good Friday each church casts beautiful spring flower petals around the church. Easter is a major feature of the religious calendar for the churches on the island and you will be welcome to attend. On Good Friday each church casts beautiful spring flower petals around the church. Do go and see this lovely carpet of flowers, blessed by the church. Traditionally each child takes one or two petals home. Then, in the evening of Good Friday, part of the religious service is dedicated to the carrying of Christ’s picture around the congregation. It’s gold and very heavy, so it takes three or four people to hold it. Each person holds a lighted candle. It really is a lovely sight, one of many over Easter. Along with these major holidays Cyprus has many bank holidays – a lot more than in the UK! These are usually celebrating religious days; one or two are school holidays only that are given to celebrate Holy Trinity for example. You can see that family is very important to the Cypriots. Family is why we exist, after all. It is not just the immediate family unit; the respect and affection extends outside to grandparents, aunties, uncles and so on. Grandparents especially take an active role in their grandchildren’s lives here. 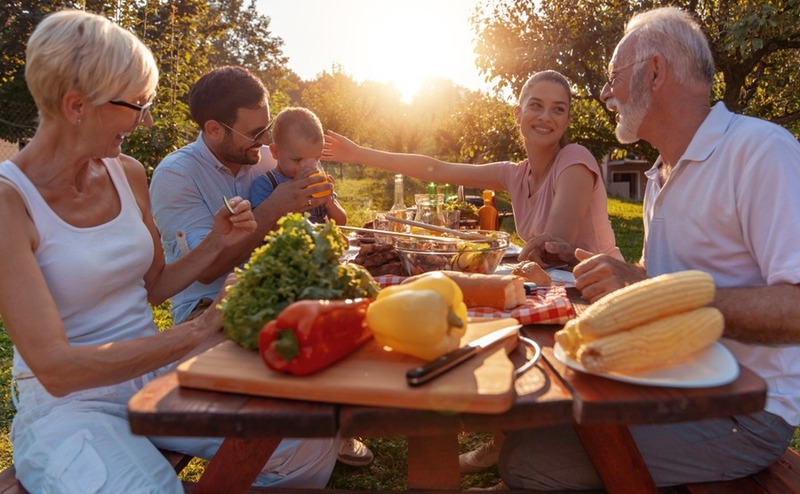 You will see them taking their grandchildren to different after-school activities while their parents work, or sitting with their teenager grandchildren in cafes or restaurants. Young Cypriots love their grandparents. Why not spread the cost and multiply the fun of a holiday home in Cyprus by buying with your Family. It might be easier than you imagine. Greetings for a person depends on the time of day. Good morning is kalimera; good afternoon is herete and good night is kalinikte. At 6 pm-8 pm (roughly) you’ll still be saying herete or kalioreses (welcome). Cypriots are not easily offended, but they do respect politeness. Among themselves, Cypriots kiss each other two times, one on each cheek as a greeting, even both sexes. This is their traditional greeting. It takes some getting used to, especially which cheek to start with (the right cheek – to avoid bumping the nose!). Cypriots kiss each other two times, one on each cheek as a greeting, even both sexes. Which cheek to start with takes some getting used to! They dress smartly but appropriately for special occasions, and smart clothes are always required for the traditional bouzoukia night clubs. Beach restaurants allow beach wear in the summer. You have to cover your arms and legs though, and remove your hat, if you enter a Greek Orthodox church. A last thing to remember is that Cypriots do not queue in line like the British. So if you want to get on a bus, it’s generally a good idea to wait for them to board first! Be careful that you do not unknowingly cross the Green Line that is currently dividing Cyprus into the north and the south. You can visit the north from the south, and now you can visit the south from the north (this was not allowed for many years). Make sure that you have all the correct papers, because you will be checked at the Green Line checkpoints. I recommend that you make this trip with an organised tour operator, to avoid any problems. Remember also that although the Cypriots do enjoy their beers, wine, zivania, and other spirits and can drink these well into the early hours, they do not drink alcohol excessively. They will tolerate others’ excessive drinking, but they do not like to see it. Driving offences are dealt with according to Cypriot law. In every other respect, feel free to behave as you would in the U.K. – courteously, and with dignity and respect.